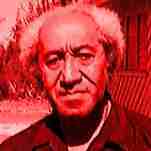 Futa Helu, who died in 2010, was Tonga's most influential modern intellectual. He founded the 'Atenisi Institute, Tonga's first university, called for the melding of Polynesian and European intellectual traditions, wrote essays on topics as different as psychology and ancient Greek philosophy, and was a key figure in the pro-democracy movement which became strong in his country in the last decades of the twentieth century. Helu may be famous in Tonga and a continuing inspiration to the many graduates of 'Atenisi who have made careers for themselves overseas, but he is little-known in New Zealand outside the Tongan community. The neglect of Helu reflects a wider indifference to Tongan culture amongst New Zealanders. Tonga is our closest neighbour and, as the only Polynesian nation to avoid colonisation, it has a unique and important history, yet it seldoms registers on our cultural radar. We are far more acquainted with literary and artistic developments in London and New York than we are with the thoughts and deeds of Tonga's creative community. Futa Helu was an authority on aspects of European culture like ancient Greek philosophy and Italian opera, but he also maintained a continuous interest in the culture of his own country. In the late 1970s and early 1980s he published a series of essays about the history and features of Tongan poetry in the little Nuku'alofa-based magazine Fai Kava. These essays, which were complemented by a long text on the same subject delivered at a conference in the late '80s, offer English-language readers an entertaining and illuminating introduction to an ancient and still very vital Tongan artform. As he explains the origins and development of Tongan poetry, Helu supplies English-language translations and explications of numerous verses, and also offers up fascinating asides about the geography, sociology, and politics of his country. I recently helped Titus Books prepare an application to Creative New Zealand for funding to publish some of Helu's essays about Tongan poetry. But Helu wasn't only interested in literature. He was so knowledgable about Tongan genealogy, etiquette, song, and dance that his country's leaders would often forget their opposition to his politics and call on his advice when they were planning a major public event, like the wedding of a royal or a state funeral. While he was making Tongan Ark, the feature-length documentary about Futa Helu and 'Atenisi which has been reviewed and debated on this blog, Paul Janman collected many hours of footage of Helu working with and talking about dancers and singers. Using that magical device known as the internet, Janman is now sharing some of the remarkable footage he could not incorporate into Tongan Ark with us. Paul has established a Youtube channel to show off the work of the 'Atenisi performing arts troupe Futa created and oversaw. This film clip shows Helu introducing a performance by the 'Atenisi troupe in Wellington in 1997. With a typical lack of regard for the boundaries between intellectual discourses, Helu uses some of the terminology of physics to describe the movements of Tongan dancers. Drawing on his neo-classical philosophy of art, which equates beauty with harmony and immutability, Helu goes on to argue that the goal of Tongan dance is "to make human beings divine". Just as the essays Helu wrote for Fai Kava make a fine introduction to Tongan poetry, so the clips Paul Janman has uploaded to Youtube expose us to Tongan dance and song in all their strangeness and splendour. I don't think so. (If it is then so is NZ.) I think the culture of Tonga and other Pacific nations (and of the NZ Maori) has a lot to offer. I used to go to the Ponsonby Festival ever year when I lived in Ponsonby in the 70s. There were many cultures, Asian, Polynesin and other. Ponsonby was a working class area in those days. For me, by contrast, I find Irish (with a few exceptions) or Spanish music rather monotonous. Also the poetry overall. Except the older poetry of Spain and Italy which has some merit. But Futa Helu was quite an extraordinary being. These YouTubes are very good. We need to look more closely at our more relevant neighbours. The US is becoming irrelevant in (almost) all ways for example.